Can you tell me what the Extraction Yield % and TDS % is without using the VST app? In the first test we were dealing with a drip brew such as a V60, this time we have an Aeropress which is an immersion brew. 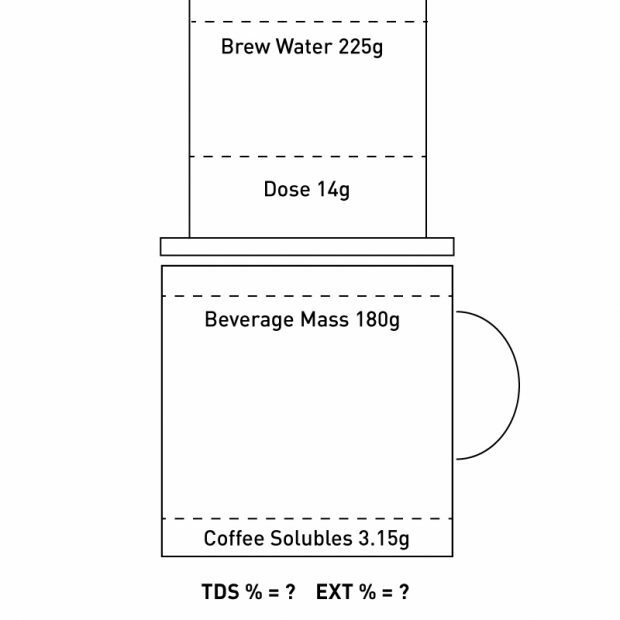 We have different mathematics for immersion brews (which is explained in detail in this previous post on Drip vs Immersion) in this instance we have to consider that the liquid retained in the coffee grounds is actually at the same strength as the brew in the cup so we need to include it in our calculations by using Brew Water for our TDS calculations rather then Beverage Mass. 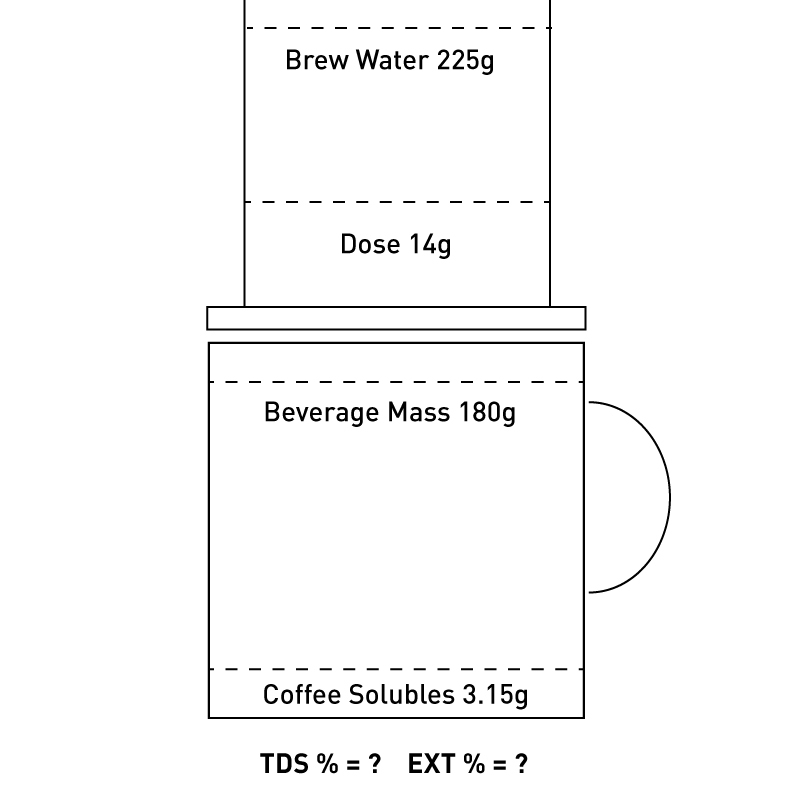 It may seem that mathematics has little to do with quality coffee but mathematics is actually a great language to describe things and by understanding the mathematics of brewing it will help you understand how things fit together so you can brew better coffee. In July, Coffee Kaizen will be offering a full Weekend Intensive in Europe for the first time thanks to The Barn, Berlin. 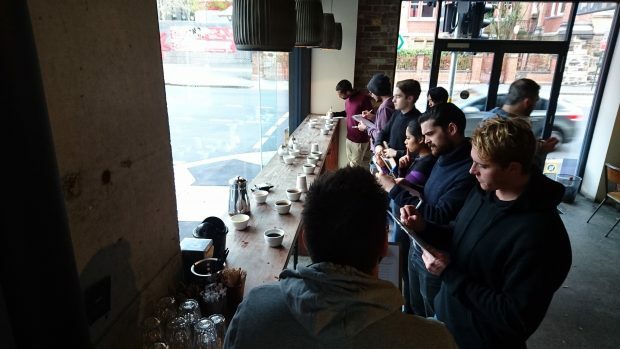 The Coffee Kaizen Weekend Intensive is now in its fourth year in Australia combines practical and theory in the areas that every coffee professional should know regarding farming, green processing, green buying, roasting, sensory assessment, science of extraction, brewing and QC. Given Berlin’s easy access from all parts of Europe it’s a great opportunity even for those who do not live in Berlin to come for the weekend and immerse yourself in coffee education. The weekend intensive will run on the 28th and 29th of July at The Berlin Coffee Academy within the Barn Roastery, you can find out more about the intensive and book here or via The Barn’s Website. From Barista to Boss – New classes scheduled in June. We are pleased to be offering two classes in June in association with Collective Roasting Solutions (CRS). First up will be the Coffee Kaizen Weekend Intensive, now in its third year this weekend workshop combines practical and theory in the areas that every coffee professional should know regarding farming, green processing, green buying, roasting, sensory assessment, science of extraction, brewing and QC. The weekend intensive will run on the 23rd and 24th of June in St Peters, you can find out more and book here. On the Wednesday following the Intensive we will be running a brand new class, From Barista to Boss. This will be presented by Sam Sgambellone who will be speaking from more than 14 years of experience as an owner, a mentor and a consultant. This two hour session will provide an overview of the vital areas that need to be considered when either starting or buying a cafe. The class will be of most benefit to anyone considering owning their own cafe, existing business owners or otherwise anyone interested in the behind the scenes of cafe ownership. From Barista to Boss will run on Wednesday the 27th of June at CRS Alexandria, you can find out more and book here. 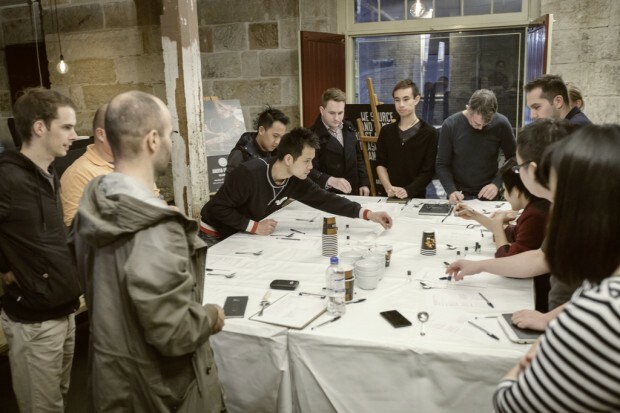 The Coffee Kaizen Weekend Intensives are set to make their debut in Melbourne and New York in the coming months alongside the Intensive that has already been announced for Sydney in June. 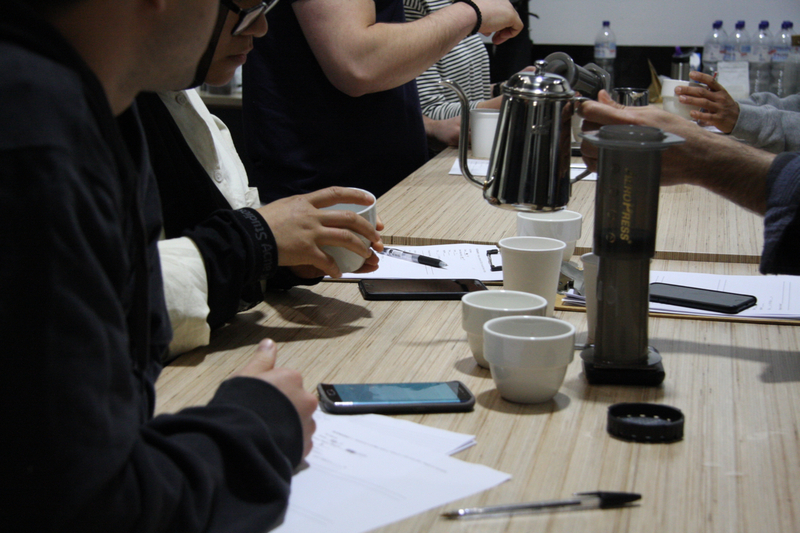 Early Bird Tickets (10% off) are now on sale for Melbourne via melbcoffeeintensive.eventbrite.com and tickets for the Sydney event are available here https://coffeeintensive.eventbrite.com.au/?discount=member. Tickets for the New York event will be posted shortly. 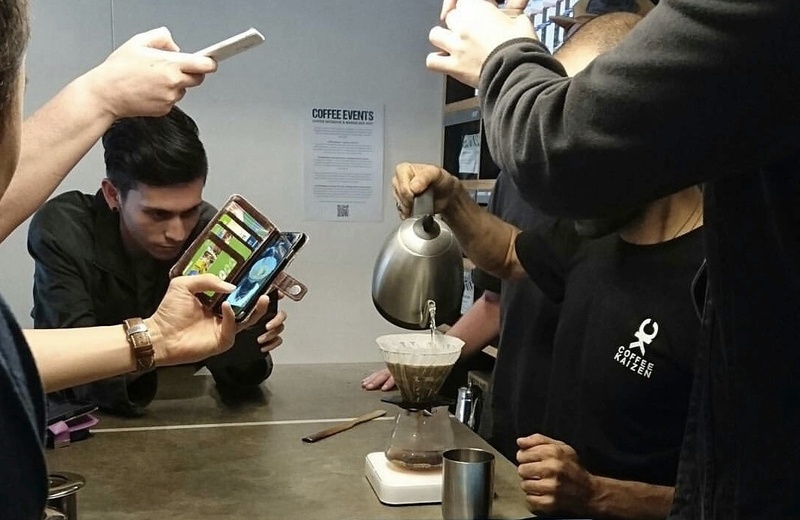 The Weekend Intensive presents a unique combination of content which is designed for anyone looking to take the next step as a coffee professional and be confident that they have all the essential skills to do so. Spaces are limited to ensure high levels of interaction so get in quick so book now so you don’t miss out. We are pleased to be able to announce that on Saturday the 23rd of January Tim Wendelboe will be offering a Tasting Experience and a Talk about his new farming project at Mecca Ultimo. Amongst other things Tim Wendelboe is a former World Barista Champion and owner of Tim Wendelboe Espresso Bar and Coffee Roastery in Oslo, Norway (http://timwendelboe.no/) . 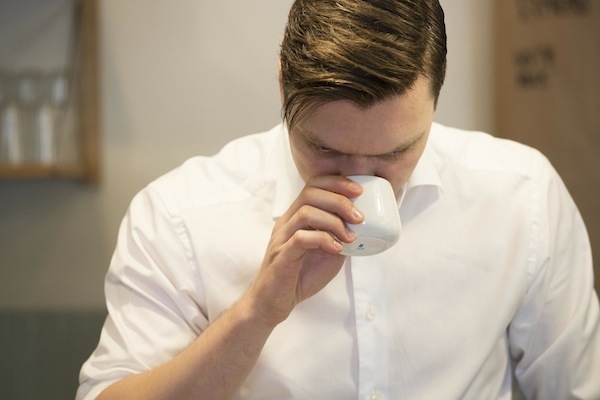 Tim has recently developed a set of coffee tasting cups with designer Kristin Hærnes Ihlen from Physical Design (http://www.physical.no/figgjo) and Figgjo (http://www.figgjo.com/news-figgjo-oslo) . There are three different cups in the series. All made to enhance the drinking experience of different coffees. Tim will be taking four guests at a time through an intimate tasting experience using these cups paired with his coffee. The 45 minute experience will feature both espresso and filter coffees prepared by Tim and featuring the Figgjo Cups. There are limited spots and is a rare opportunity so this is sure to be in demand so book fast. Tim will be giving a presentation on his new coffee farming project in Colombia that was recently awarded Notable Producer in the Sprudgie Awards (http://sprudge.com/91881-91881.html) . The talk will give an interesting insight as to how someone who owns a world class Roastery and Cafe approaches this aspect of the supply chain; including the challenges, as well as the benefits that make the project worth pursuing. This session would be well suited to industry professionals or keen enthusiasts who want to better understand coffee production and how it impacts the supply chain. During the day Mecca Ultimo will also be serving Tim’s Cofffee over the bar for anyone wishing to visit and will have beans available for purchase. We are pleased to announce we will be running our first Weekend Coffee Intensive in January 2016. The Intensive is designed to give participants the knowledge, tools and practical resources they need to succeed as a coffee professional. Through a combination of practical and theory, the two day intensive will cover the details every coffee professional should know about farming, green processing, green buying, roasting, sensory assessment, science of extraction, brewing and QC. All the details are on our Eventbrite Page , please email us with any questions. Be first to find out about similar education sessions by subscribing to our mailing list. After Sold Out sessions in Sydney; Coffee Kaizen, Auction Rooms and Small Batch Roasting Co are pleased to once again be able to offer the coffee professionals in Melbourne the opportunity to hear Scott Rao present on Espresso, Brewing and Roasting. Scott has a wealth of information to share from his almost two decades of experience as a barista, roaster and consultant. We really appreciate Scott’s approach to coffee; he has a very deep understanding based on sound investigation yet he is able to distil his findings into simple, useful suggestions that anyone can integrate into their production. Coffee Kaizen and Mecca Espresso Ultimo are pleased to once again be able to offer the coffee professionals in Sydney the opportunity to hear Scott Rao present on Espresso, Brewing and Roasting.